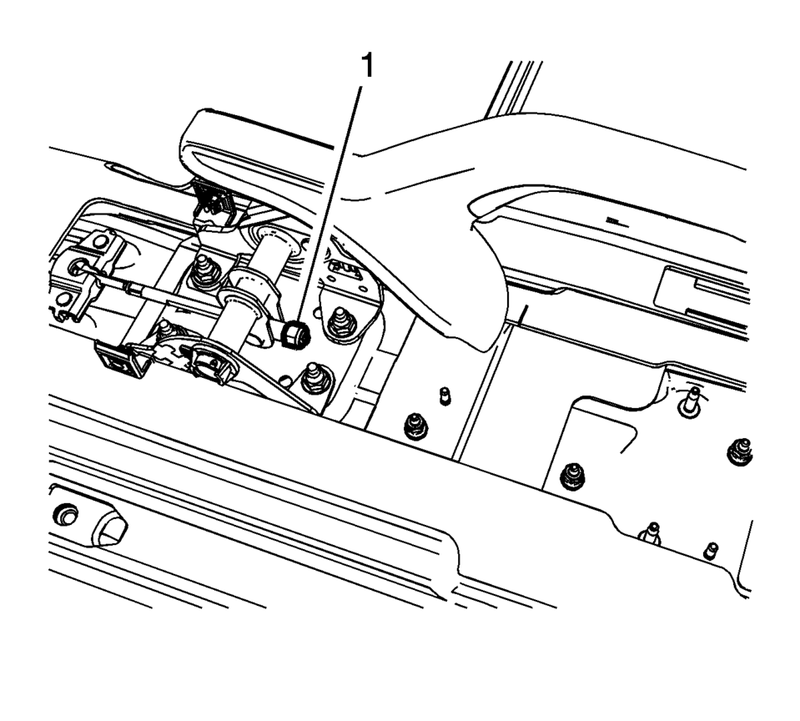 Ensure the park brake lever is in the fully released position. Remove the front floor console cupholder insert. Use ONLY HAND TOOLS when loosening or tightening the adjusting nut. Using ONLY HAND TOOLS, loosen the adjusting nut (1) completely to the end of the front cable threaded rod. Remove the brake drums. Refer to Brake Drum Replacement. Position the CH-21177-A Drum to Brake Shoe Clearance Gauge to the widest point of the brake drum inside diameter. Firmly hand tighten the set screw on the CH-21177-A Drum to Brake Shoe Clearance Gauge . Remove the CH-21177-A Drum to Brake Shoe Clearance Gauge from the brake drum and position it over the corresponding brake shoe assembly at its widest point. While holding the CH-21177-A Drum to Brake Shoe Clearance Gauge in position, insert a proper feeler gauge between one side of the CH-21177-A Drum to Brake Shoe Clearance Gauge , and the corresponding brake shoe lining. 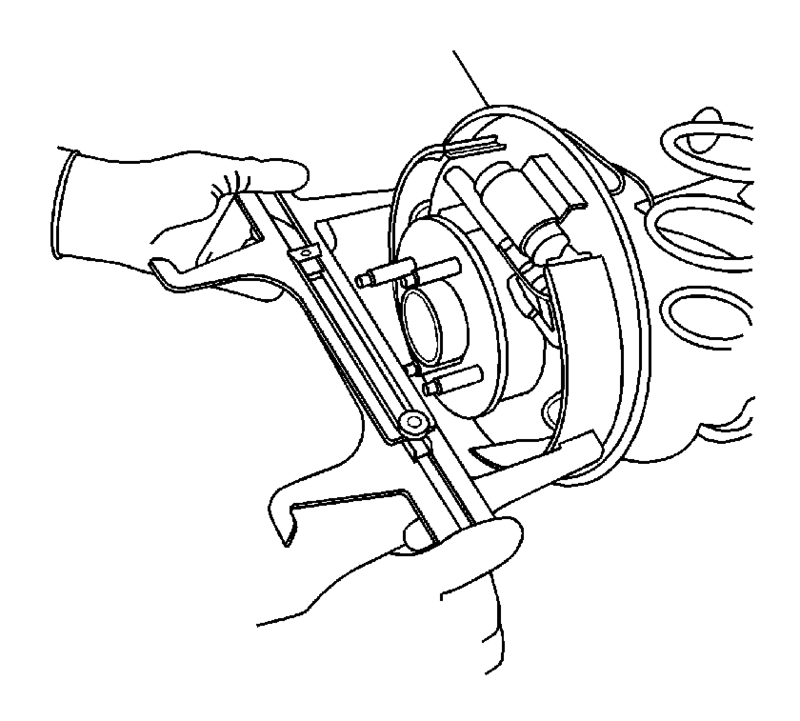 Rotate the brake shoe adjuster screw until the brake shoe linings contact the CH-21177-A Drum to Brake Shoe Clearance Gauge and the feeler gauge. Refer to Drum Brake Component Specifications. 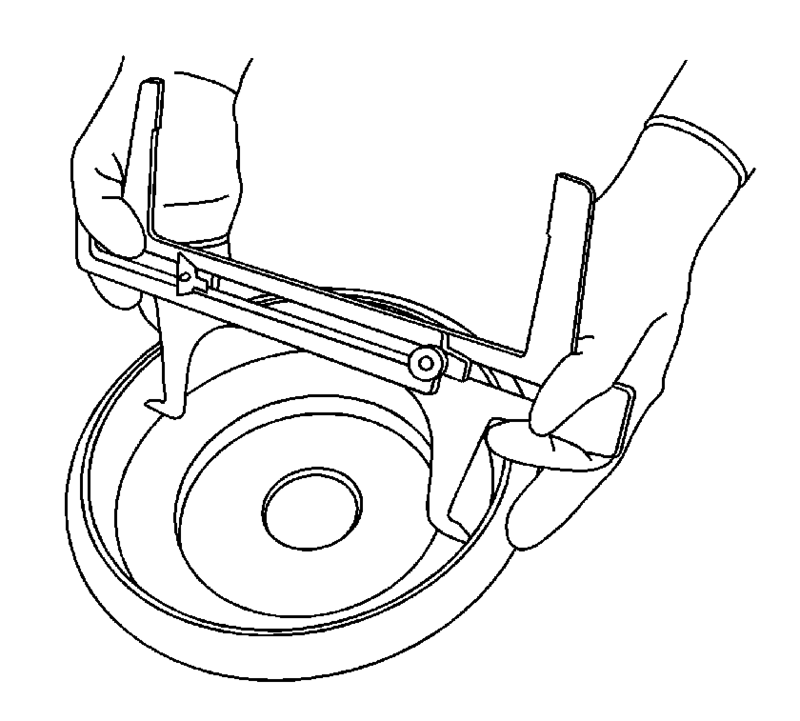 Repeat the above steps for the opposite brake drum and brake shoe assembly. Install the brake drums. Refer to Brake Drum Replacement. Adjust the park brake. Refer to Parking Brake Adjustment. Install the front floor console cupholder insert.